Just ending a relaxing Sunday with friends in Brazil, who have these coffee plants in their garden. 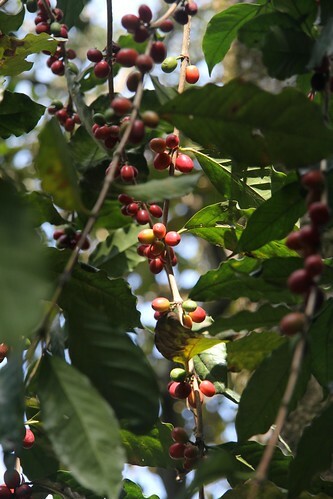 It’s getting close to the time the berries need harvesting, although as we discovered last time we tried it the work involved to make coffee from them is substantial. Anyway, watch out for news of FISL and more in the coming days. Are those Bruno’s coffee plants :-)? Sunday’s at Bruno’s are the best. Indeed they are! 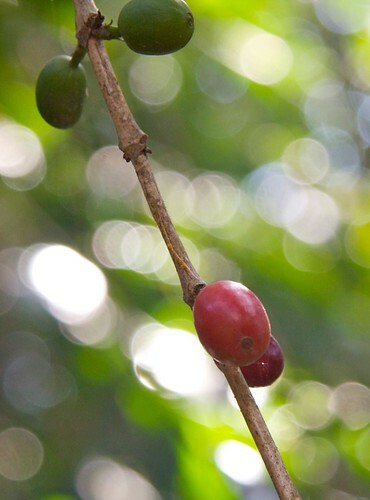 We picked and roasted them back in 2009, but it’s definitely something that takes practice.